If you own a boat, you know that it’s a major investment—one that can provide you, your family and friends with many years of fun and a lifetime of great memories. 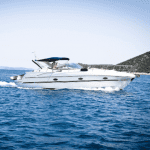 If you’ve already made that investment, then you’re probably taking precautions to protect your boat when it’s not in the water to preserve its appearance and value while also reducing the likelihood of future repairs. After all the average boat owner only owns their boat for about 6 years before they buy their next boat, so taking care of your boat during that 6 year window can translate into big bucks when it’s time to sell or trade-in. Long-term storage during the off-season. 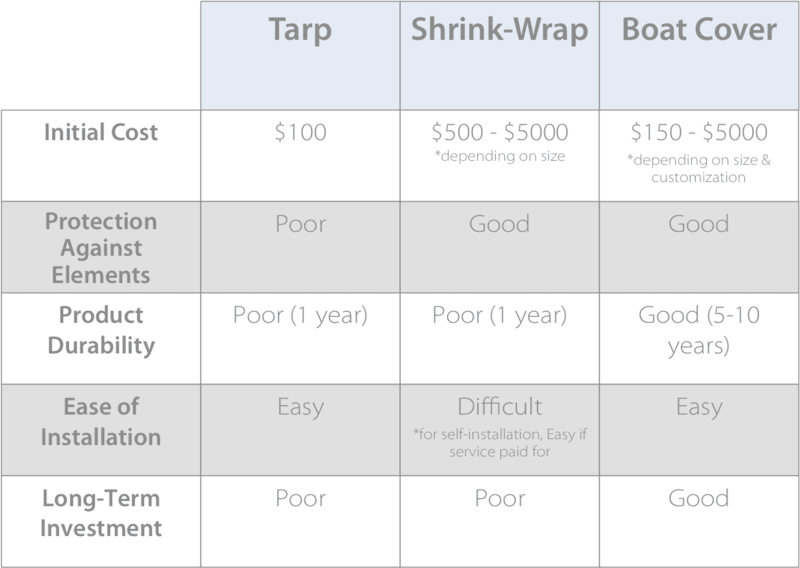 Both tarps and shrink wrap are commonly used by boaters because some people believe they provide a “cheap” option to protect their boats compared to a high quality cover. However, in our opinion (which we believe is based on the facts), buying a boat that costs many thousands of dollars and then trying to save a few dollars on something that doesn’t provide adequate protection or easy installation for your boat under all circumstances doesn’t make a lot of sense (or cents). What do you think? What do you use to protect your boat when she’s out of the water? Let us know in the comments below! For all of your boat cover needs visit us at Boat Covers Direct, and mention this article for an additional 10% discount! Next: Fact Friday: Did you know there are naturally occurring pink lakes?